If a soundtrack to an acclaimed film doesn't get a proper vinyl release, does it even exist? Fortunately, that's an existential question we won't have to face in the case of Dan Gilroy's critically acclaimed Nightcrawler, as the soundtrack to the 2014 film will soon get some proper treatment on wax. The music for the Jake Gyllenhaal film arrived via James Newton Howard, who has previously soundtracked the likes of Pretty Woman and The Sixth Sense. For Nightcrawler, he pieced together an ambient, often creepy score. The release will arrive via Invada, the label founded by Portishead's Geoff Barrow. No strangers to vinyl editions of soundtracks, they've previously dropped records for Ex Machina and Drive. 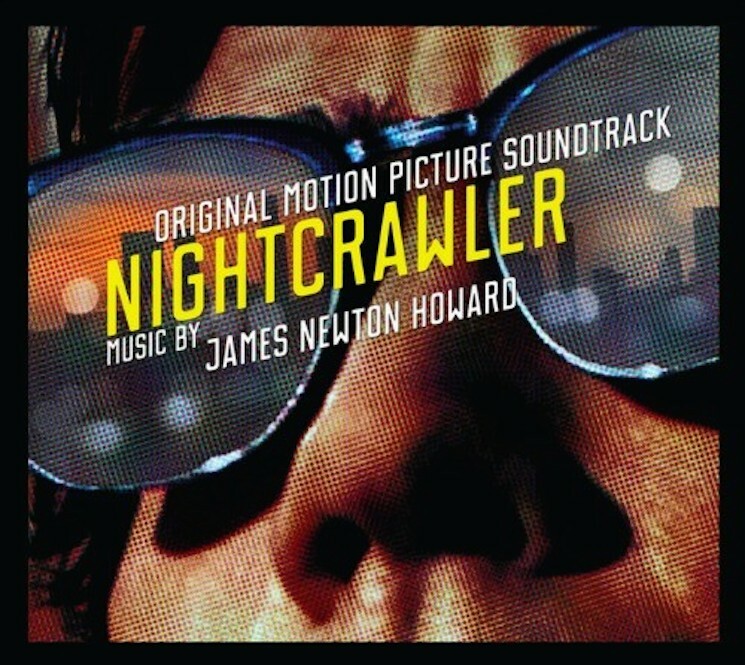 The vinyl edition of Nightcrawler will arrive later this summer through Invada. It'll have two sleeves — one that matches the original digital soundtrack release (above) and another from a yet-to-be announced artist. Thanks to FACT for the tip.